REDWOOD CIY, California—June 18, 2012—38 DES employees proudly participated in the American Heart Association’s Heart Walk in RedwoodShores over the weekend and raised over $3,000. 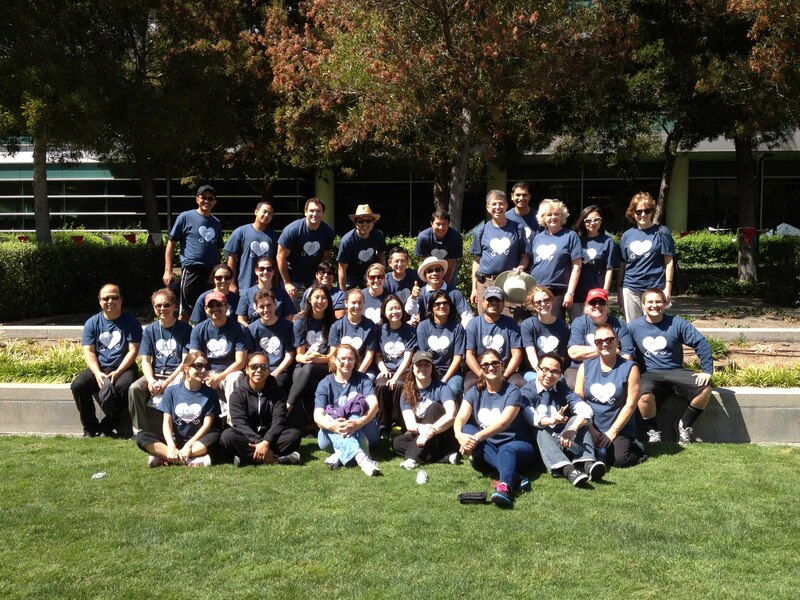 Almost half the company came together to support this important cause, show their commitment to healthy lifestyles, and enjoy the sun-soaked park setting. This was DES’ fifth year of active involvement in the Heart Walk and with American Heart Association. As shown by the strong participation at the Heart Walk, DES inspires employees to engage in healthy lifestyles and spread wellness in the community. For the company’s continued commitment to wellness, DES was recently awarded a Fit-Friendly Worksite Platinum Achievement and San Francisco Business Times’ #1 Healthiest Places to in the Bay Area. The Heart Walk is the American Heart Association’s premiere event for raising funds to save lives from this country’s No. 1 and No. 3 killers – heart disease and stroke. This year more than 1 million walkers participated in nearly 350 events. Funds raised in the heart walk support groundbreaking pediatric heart and stroke research, making sure doctors have up-to-the-minute research on heart disease prevention, and raising awareness of the importance of diet, nutrition and exercise as well as understanding important health issues. Melanie joined DES in 1998 and has used innovative techniques in implementing employee-focused programs that have reinforced employee recruitment, retention and professional development. This focus has resulted in numerous awards for DES as a “great place to work”. Melanie is a frequent speaker and contributor to local, regional, and national groups on employee relations and wellness.